John Ernst Steinbeck, Jr. (February 27, 1902 – December 20, 1968) was an American author. He won the 1962 Nobel Prize in Literature "for his realistic and imaginative writings, combining as they do sympathetic humour and keen social perception". He has been called "a giant of American letters", and many of his works are considered classics of Western literature. During his writing career, he authored 27 books, including 16 novels, six non-fiction books, and two collections of short stories. He is widely known for the comic novels Tortilla Flat (1935) and Cannery Row (1945), the multi-generation epic East of Eden (1952), and the novellas Of Mice and Men (1937) and The Red Pony (1937). The Pulitzer Prize-winning The Grapes of Wrath (1939) is considered Steinbeck's masterpiece and part of the American literary canon. In the first 75 years after it was published, it sold 14 million copies. Most of Steinbeck's work is set in central California, particularly in the Salinas Valley and the California Coast Ranges region. His works frequently explored the themes of fate and injustice, especially as applied to downtrodden or everyman protagonists. The collected adventures of England's greatest occult investigator! 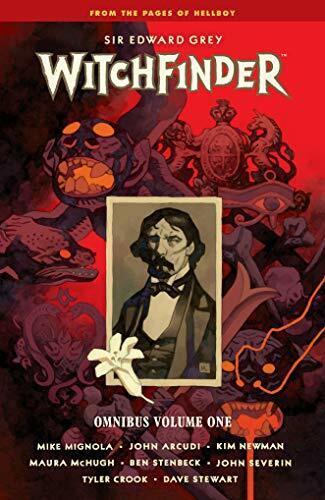 When the man called the Witchfinder becomes an agent of the Queen, he is led from the sparkling echelons of Victorian London to its dark underbelly, through the American West, and to explore the mysteries of Unland! Throughout his adventures, he'll face occult conspiracies, rampaging monsters, and London's most infamous secret society: the Heliopic Brotherhood of Ra!